M’s acquire 37-year-old veteran from Dodgers for left-handed pitcher. PHOENIX — With the Mariners choosing to move on from veteran catcher Chris Iannetta by not picking up his club option for 2017, they went out and acquired a different veteran to serve as a backup to projected starter Mike Zunino. 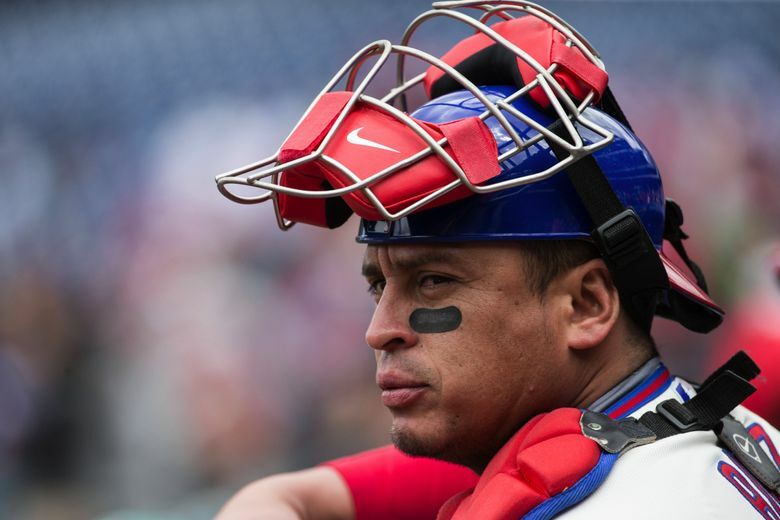 A source confirmed that the Mariners have reached an agreement with the Dodgers in a trade for veteran catcher Carlos Ruiz. Another source said the Mariners would send 29-year-old left-handed reliever Vidal Nuno to the Dodgers. The Mariners did not confirm the trade. A third source said any announcement was being delayed while medical histories are examined. Ruiz, who has no-trade rights as a veteran having played 10 years in Major League Baseball with five consecutive years with one team, has reportedly waived his no-trade clause. The Mariners will have to pick up Ruiz’s $4.5 million club option for 2017. Ruiz, 37, spent the bulk of his career with the Phillies and was named to the All-Star team in 2012. After 11 seasons in Philadelphia, he agreed to a midseason trade to the Dodgers. This past season, he hit .264 with a .713 on-base plus slugging percentage, eight doubles, three homers and 15 RBI in 62 games. He’s a career .266 hitter with a .745 OPS. Nuno went 1-1 with a 3.53 ERA in 582/3 innings last season for the Mariners.